Daintily light and crispy, pão de queijo originate from Belo Horizonte in the state of Minas Gerais, Brazil, and make wonderful snacks. If you don't have an electric mixer for this pão de queijo recipe, just use a bit of elbow grease to beat the dough by hand. 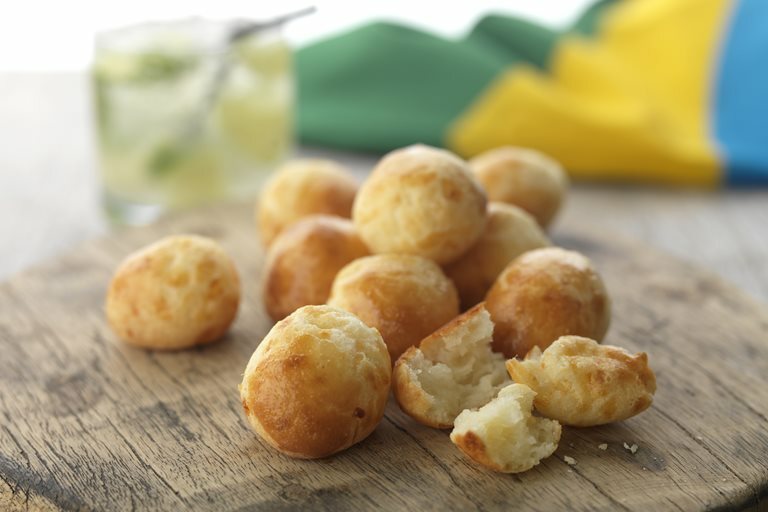 Find more Brazilian snack recipes in these World Cup recipes by Marcello Tully.